Gave her the thumbs up, and began my trudge back to the car. Snow isn’t usually the criminal’s best friend. Your vehicle leaves tracks. Your shoes are wet and leave prints. I remember when I was going to moor in Bugbrooke, I started talking to some guy cycling down the towpath, just as I was leaving my boat and getting on my bike. He was a local, from the village. We had the same name and the same bike, which was a strange co-incidence. He was telling me about the criminal activity around Bugbrooke. For the size of the village, there was a fair bit of it. Shady characters – Cars parking on peoples drives, lights on no-one getting out. Eventually, the residents would notice the strange car on the drive, come out, and the car would drive off. Sometimes, the passengers in the car would get out and lean on the car, waiting until the residents came out, and when they did, drive off. Break-ins/Burglaries – Lots of robberies. Burglaries. He seemed to think most people in the village had been effected, or knew someone that had been effected. Shortly after that, I moved the boat on from Bugbrooke. Last time I stayed here. 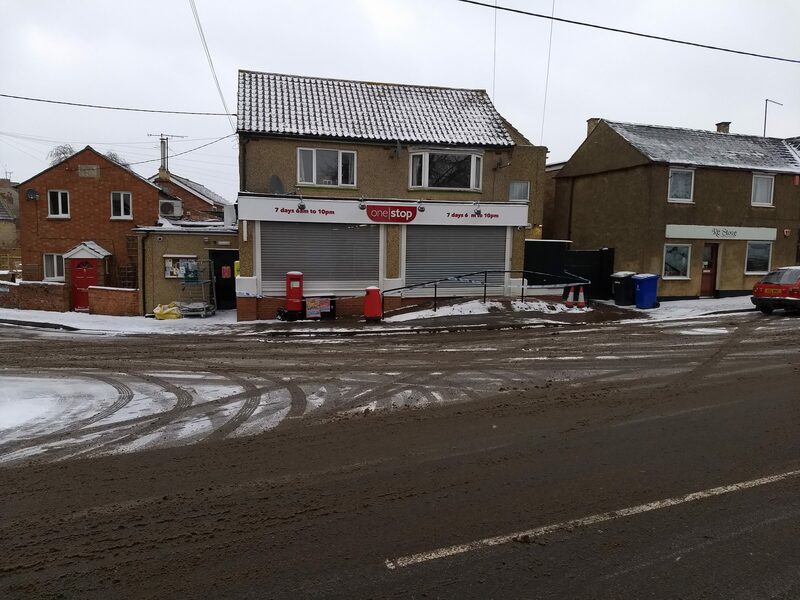 The post office in Nether Heyford got broken into. This was back in September. The shutters were down for the whole period I stayed. When I visited the shop later on in the year, this was fixed. This time it was armed robbery. Crimes against the person. Not what you’d think in a little village like Nether Heyford. So sad for such a small place – and no Poste Restante there then.